Welcome to the Fall Creek Recreation Club Website! 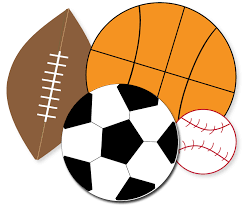 The Club meets on the first Wednesday of each month at 6:00 pm and meetings are held either in the gym or on the bleachers near the concession stand. All parents of Fall Creek students who are involved in Recreation Club sports are encouraged to attend. Anyone who has used Fall Creek uniforms and wishes to donate them to the Rec Club should contact the Director of that sport.